Today’s dynamic agricultural industry demands flexibility, creativity, and critical thinking skills more than ever before. 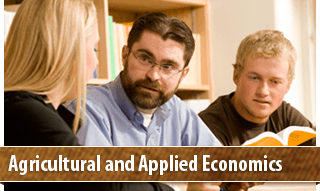 The Agricultural and Applied Economics department provides excellent learning opportunities across a broad spectrum of capabilities, and our graduates are finding work in many different fields. 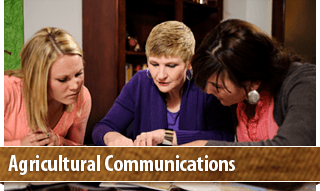 Agricultural Communications majors receive a broad liberal education in agriculture with an opportunity to specialize in selected subject matter areas. 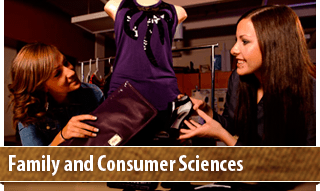 Students take courses in journalism, public relations, advertising, and broadcasting. 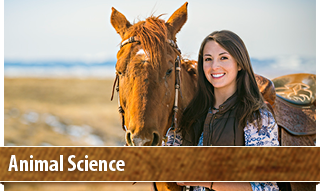 We are excited about the good things going on in Animal Science! We apply land-grant principles of learning, discovery and engagement for the benefit of students, consumers and clientele associated with animal agriculture. In the past few years, our research productivity and relevance has been ranked 7th and 5th, respectively, in national comparisons of Departments of Animal Science. 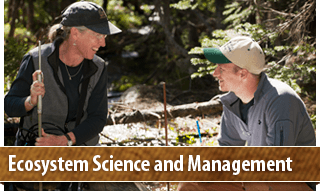 Ecosystem Science and Management integrates rangeland ecology and watershed management, soil science, and entomology. Our students' education is enhanced by learning not only of their discipline but also how their discipline relates to others. Our research increasingly tackles the information gaps that are at the frontiers of science and management that lie in the connection between disciplines. Our extension programs offer integrated options needed to face real-world problems that are often not separated along scientific disciplinary boundaries. 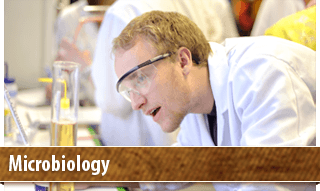 The Microbiology Program at the University of Wyoming provides outstanding educational opportunities to prepare students for rewarding careers in the basic and applied microbiological sciences. 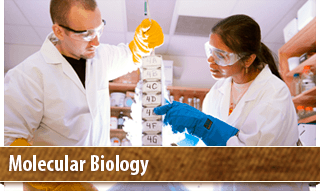 Participating students benefit from instructional excellence, individualized attention in both academic and career advising, and opportunities to conduct independent undergraduate research in many different areas of Microbiology. 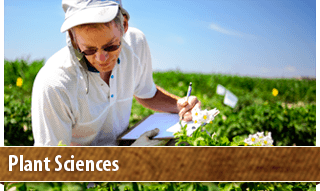 In the Department of Plant Sciences, you receive hands‑on training in pursuit of a B.S. in Agroecology that will open the door to career opportunities as you bond with the world of plants. Our nationally-recognized faculty are trained in state‑of‑the‑art approaches that encourage students to learn the fundamentals of plant growth and to apply those lessons to food, feed, ranches, and landscapes. 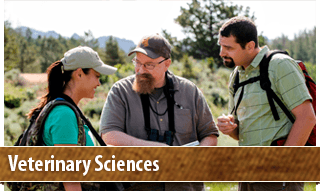 The mission of the Department of Veterinary Sciences to help ensure that livestock, wildlife and companion animals in Wyoming and the region are healthy through a combination of teaching, professional service, extension and research activities and that spontaneous diseases are accurately diagnosed.